Central Board of Secondary Education or CBSE has organised the Class 12 History paper for the Humanities candidates today. According to reports, the students who have appeared for the exam from 10.30 am to 01.30 am today have attended a lengthy paper. 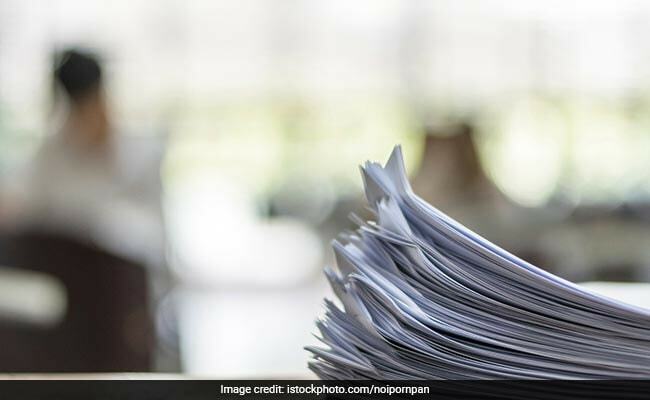 A student told Times of India portal that, though, she found two-three questions as tricky, the rest of the questions were directly from the NCERT. However, an expert told NDTV that the source based questions from Part one might be a little tricky for the average student. Next, CBSE Class 12 Humanities students will sit for Economics paper on March 27 and Psychology paper on March 29. According to Madhumita Datta Gupta, PGT History in Army Public School Delhi Cantt., the paper was of moderate difficulty level for the average student. “Source based questions from part one might be a little tricky for the average student. The best thing about the paper was the students who have read the NCERT BOOKS thoroughly are bound to do well, she added. Ms Gupta also said the paper was on expected lines and overall, according to her, CBSE Class 12 History paper was reasonably a good paper. The question paper which carried a total of 80 marks was divided into five parts, Part A, Part B, Part C, Part D, and Part E.
Part A, which has total 6 marks, will carry 3 very short answer based questions of 2 marks each. Part B, which has total 24 marks, will carry 6 short answer based questions of 4 marks each. Part C, which has total 24 marks, will carry 3 long answer questions of 8 marks each. Part D, which has total 21 marks, will carry three source based questions. The number of questions will be three, carrying 7 marks each with no internal choice. Part E, which has total 5 marks, will have two questions based a map for 5 (3+2) marks.